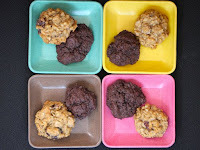 Welcome to Day #1 of Chocolate and Gluten Free Cookie Theme Week. 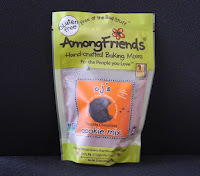 I'm kicking off this week with two gluten-free cookie mixes from Among Friends, LLC (Ann Arbor, MI). Nothing smells better than freshly baked goods coming out of an oven. 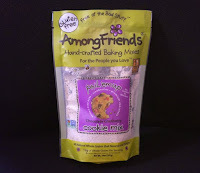 Among Friends is the creation of two friends: Suzie Miller and Lizann Anderson. These two moms (who had six kids and seven pets between them) had a common vision: "Happy healthy whole grain." The founders named each cookie or cake mix after someone they knew; Phil and CJ are friends. The phil 'em up, gluten-free oatmeal cookies were studded chocolate chips and whole dried cranberries, and had a slight, sweet coconut flavor. 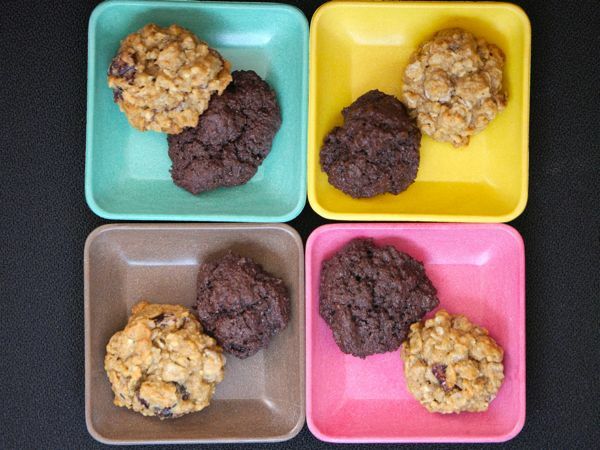 Oat flour and rolled oats gave these cookies a satisfying, slightly chewy, hearty texture. Finding cookies that aren't overly sweet (made with high-quality ingredients you want to taste) is always a win in my book. Both these mixes were made with certified gluten free and non-GMO verified ingredients.